Meet some lovely sponsors, y'all! While you're at it, you can win some amazing loot. 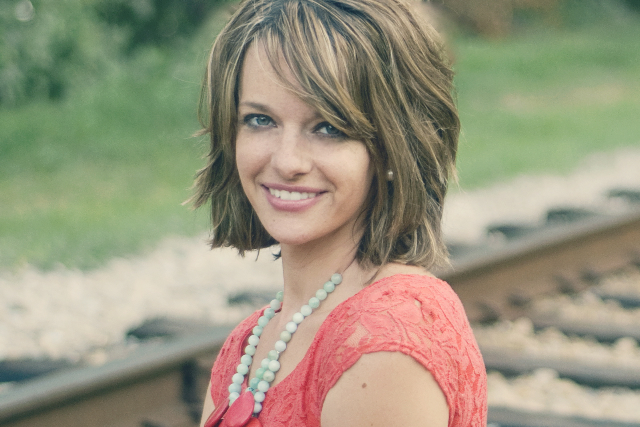 I'm Alyson, a SAHM to 2 sweet kids and a wife to Matt. Being creative has always come naturally to me. My kids and the world around me are my biggest inspirations, color, texture, emotions and more fuel my desire to create pretty things! OHJOY20 will get you 20% off through November 1st! 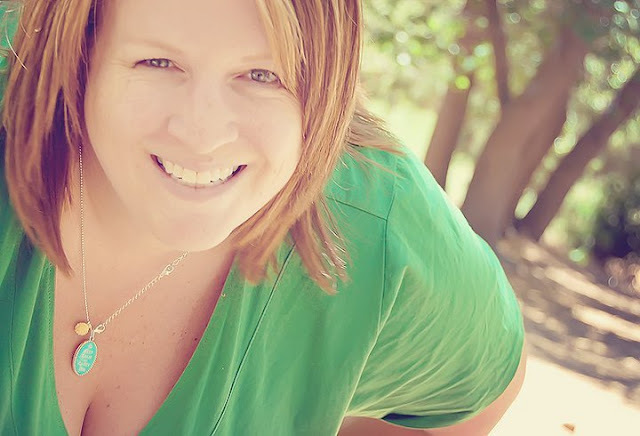 I'm Andrea - an entrepreneur at heart, designing jewelry, weddings, events and even fashion! I love starting new projects and connecting people with things they love. When I first started making jewelry, I gave every piece as a gift. During the design process then, I was creating each piece with a specific person in mind. Now, I still try to picture a specific person so that every piece feels like custom work and is made with love from my heart! use new10 for 10% off in the etsy shop! 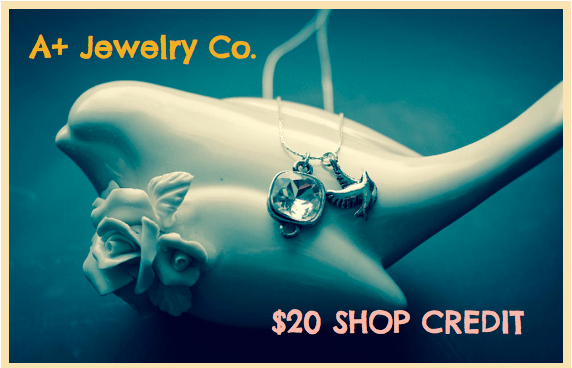 The winner of this giveaway will win a $20 shop credit to A+ Jewelry! Suzie Studios is a blog where Jessi hopes to inspire beauty through authenticity and creativity. In her shop, Suzie Couture, you will find handmade accessories for ladies and babies. Don't miss out on some stunning accessories that will definitely "make" your outfit! 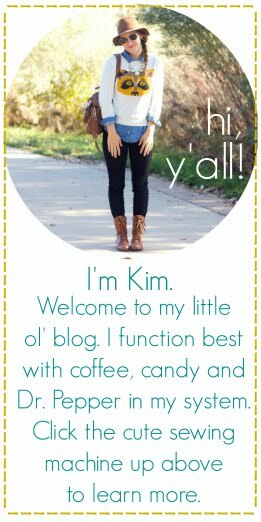 Also, keep tabs on her blog where she shares on handmade, her faith, and motherhood. ohsweetjoy will get you 20% off!!! 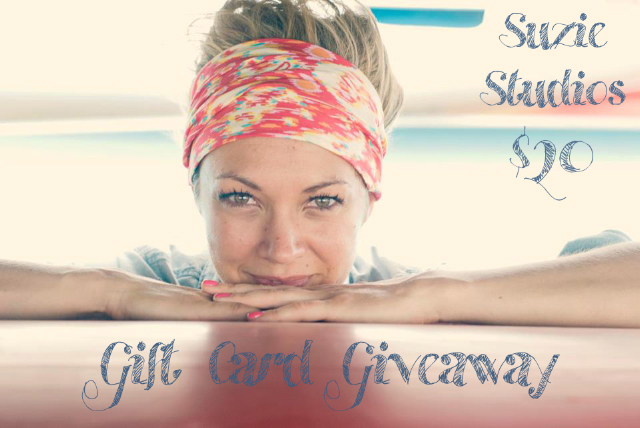 The winner of this giveaway will win a $20 shop credit to Suzie Studios! Wow, these are some amazing sponsors! I can't wait to check out their blogs and shops! From Vintage Sunshine - i love the colorful owl hoop! I pinned the 3 in 1 statement necklace tutorial to my "my style" board. vintage sunshine multi colour feather hoop is so cute!! I love Ava Turquoise Necklace from Suzie Stuidos, the Gold Bow Necklace from A+ Jewelry, and the Multi Color Feather Hoop. It's all so cute! Thanks for the giveaway! Cute! I would pick a little CA for sure! These are all such cute shops! I'm thinking I'll be shopping there whether or not I win! so stinkin' cute! love all these shops! I love the state embroidery from Vintage Sunshine, the Silver Plated Bird Nest Necklace from A+ is beautiful and the The Evelyn Neckalce from Suzie Studios is just stunning! From vintage sunshine: I love the coffee cuffs! From a Plus Jewelry: I love the nest necklace...so beautiful! A Plus Jewelry: Skeleton Key Necklace! Vintage Sunshine: I love the adorable lacey coffee cuffs!!! Suzie studios: the amaaazing striped sweatshirt scarf! Suzie Studios: Teal Infinity Scarf! I love the sweatshirt infinity scarf and the red ikat bandanna headband at Suzie Studios! It's finally fall here in Oregon and they would both be perfect on cold, rainy, fall days. The bow necklace at A+ is super cute. It would be the perfect gift for a friend of mine. At Vintage Sunshine I would go for one of the embroidery hoops with the state of Oregon in it. If I didn't keep it for myself, I'd send it in a care package to a friend of mine who's going to grad school out of state, and missing Oregon. They've all got great shops! Vintage Sunshine - I love the State 5'' Hoop. APlusJewelryCo - I love the Wrapped Pearl Sterling Silver Necklace. suziestudios - I love the Ava Necklace. Vintage Sunshine - Sew Lovely - Sewing Machine Hoop Art. APlusJewelryCo - Silver Plated Necklace with Skeleton Key and 2 embellishments. Suzie Couture - The Marilyn Necklace. suziestudios - the Ava Necklace! gorg. I like the state hoop (WA, of course! 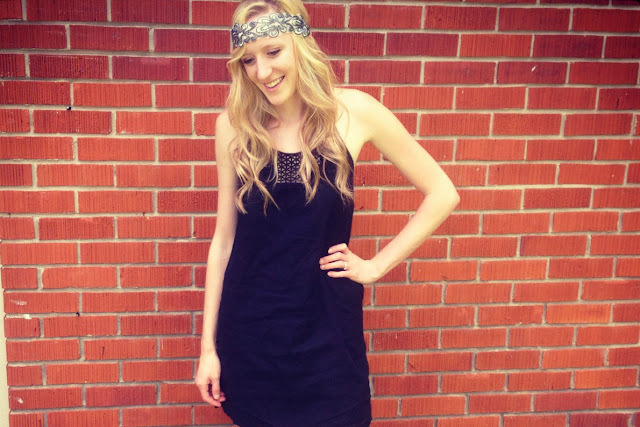 ), bowtie necklace, and red ikat bandana headband! I love the state hoop art, the birds nest necklace, and the ava necklace! Vintage sunshine - the state hoop art & the be thankful hoop art. I love all the Texas home decore things! I also love the infinity scarf and feather hoops! I love the skeleton key necklace, the state hoop and the Marilyn necklace. my favorite item from vintage sunshine is the arrows hoop art. my favorite item from APlusJewelryCo is the skeleton key necklace. and my favorite item from Suzie Studios is the lace trim infinity scarf in camel! Loving the Gold Tassel Necklace at APlusJewelryCo! Love the Mulicolored Feather hoop art at Vintage Sunshine! So pretty! Love the Ava necklace in Ivory at suziestudios! 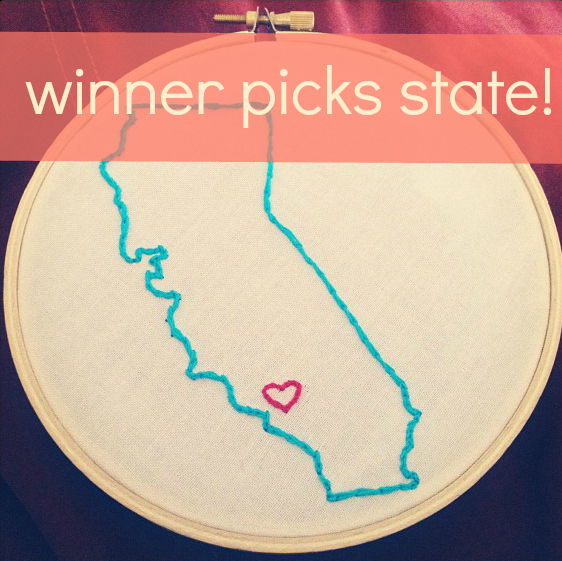 I hope I can get an embroidery hoop of Ohio! I love infinity scarves too! I would literally take any of the jewelry from AplusJewelry! Thanks for the giveaway! I like the bird nest necklace from APlusJewleryCo. I adore the state embroidery hoops! I always am moving away from home and love touches in new places to remind me where my heart lies! I would wear the Rosalie Necklace all the time from suziestudios. Loving the Sew Lovely hoop at Vintage Sunshine, the gold bow at A Plus Jewlery and the red ikat bandana headband at suziestudios!! <3 great finds! Love the camera hoop art. Filigree Heart Necklace. Red lace trimmed infinity scarf.